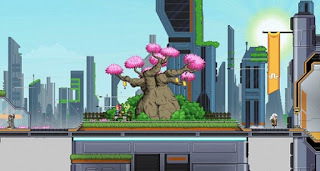 Starbound is now out of the early access phase and the version 1.0 has its share of the small optimization problems, the most likely related to the new features. So there are some players who have already Starbound, unfortunately not able to open the patch. Although Starbound runs in the background, but it does not start. In this case we have gathered some suggestions and fixes for you in this guide. Hopefully they will help you to finally explore the planets. If it says, "Starbound not start", then you have two ways to fix or prevent this issue. Our first solution is to start Starbound from the directory in which it is located on your computer. Yes, basically Steam games cannot start without actually Steam. The gaming platform will always start with, because it checks whether you are even eligible (within the meaning of copy) to start the game at all. However, why not start Starbound from the Steam client service .exe added directly over the file, it may be that the Steam might not be able to find the folder where the game lies. Which folders you choose depends on whether you are working with a 32 or a 64 bit operating system. Now click on the folder and try to start Starbound. Does it run? If not, then our second solution might be able to help you. This solution sounds very obvious and simple. Often it works well, especially when Starbound has trouble starting. The solution is to uninstall Starbound and again download and re-install completely fresh copy. - To uninstall Starbound on Steam you simply right-click on the game and use the "delete local data" menu item. - It would be good if you also delete the Starbound folder in the directory completely, after you have the local content deleted on Steam. - Install now new Starbound. Don’t worry, you don’t have to pay all over again. Steam knows that you had already purchased the game. If Starbound fails to run again, then try again this step, uninstall the game, make a reboot and re-install it again. Of course, this does not always work, but for some, this solution has already helped. Many players have reported to Steam forum about slowdown and poor performance of the game. This may be the case that the game does not come clear with the 64 bits of your operating system. Chucklefish has temporarily removed the OpenGL option for Windows and also exacerbate the problem. So you should not try to use the CPU-hungry 64-bit client from Starbound. You have the opportunity to start the game on a 32-bit client. If you use a 32-bit operating system, then the following tips will not help you much, because you already start automatically the 32-bit version of Starbound. However, most of today's PCs are equipped with a 64-bit operating system. If you are still not sure whether you have a 64 or 32-bit system, the following key combination: "fn + Windows key + Pause" and it opens the system overview, that tells you the System type, which variant you have. First, you must navigate to the Starbound installed folder. If you have chosen a different path during installation, navigate accordingly. Here you will find then several folders of which only one is interesting. Search for the "win32" directory. Here you can find again a lot of files, including the actual Starbound application named "starbound". You will know the penguin icon. Double click it to have to start Starbound and hopefully a better gaming experience and more frames per second (FPS). Stardew Valley: Rancher or Tiller - which is better?